This article is part of our series 50 Years of Disruption, in celebration of the Department of Theatre’s 50th Anniversary. In it, we’ll ask each participant four questions about themselves and their time at York. For nearly 40 years, Mr. Rose has been a distinguished director in the Canadian theatre community, as well as having directed internationally. 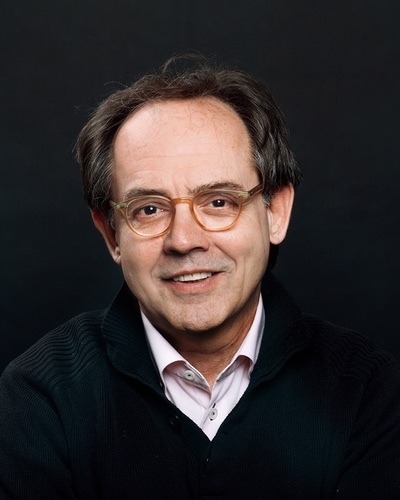 Currently, he is Artistic Director of the Tarragon Theatre (since 2002) and was the Founding Artistic Director of the highly regarded Necessary Angel Theatre Company (1978 – 2002). He is an Adjunct Professor at York University and sits on the Advisory Council of the George Brown College Theatre Program. Mr. Rose has served as Director of the Young Company, Stratford Festival (1994 to 1996) and as an Associate Director of the Canadian Stage Company (1996 to 1997). He has directed in theatres across the country from major regional theatres like the Manitoba Theatre Centre to smaller theatres like GCTC, Ottawa and he has directed internationally from commercial productions in the West End, New York and Los Angeles to training institutions like the Shepherd School of Music in Houston. Awards received include numerous Dora Mavor Moore Awards for Direction and Productions, the Los Angeles Drama Critics Circle Awards, LA Dramalogue, the People’s Choice at the Bitef Festival, Belgrade and a Betty Mitchell Award, Calgary. Mr. Rose was honoured with a Doctorate of Sacred Letters (jure dignitatus) from Thorneloe University, Sudbury, the Canada Council Walter Carsen Award for Excellence in the Arts and the City of Toronto’s Barbara Hamilton Award for the same. I see myself primarily as a director although I continually produce and have occasionally written. My forte and my art form is theatre direction with some forays into opera and a little film. Why direction? I understand “action”. I believe in “action” as the single most vital creative vehicle for theatrical presentation or representation of stories. Action is the closest simulation of life and the human experience. Action is without prejudice, with desire and is created by the pursuit of characters. Action is created by the clash of characters in conflicting desires. It is the vehicle I most understand to evoke the contractions of the human experience. It is intangible, ephemeral, ambiguous, paradoxical—a coin flipping in the air never landing on tails or heads. I got to where I am in the theatre through a rigourous self-examination and discipline about my work and the work I ask of collaborators. I am relentless. I am never happy with the answers I have come up with. I want the theatre experience to be a continual digging into what I am attempting to understand about life. I am rarely content with the work I do and if I am I don’t trust it. It might sound like I am disgruntled with the work: I am but I am inspired by my discontent and so a kind of happy. 2. What was your favourite moment during your time in the Theatre Department, and why? I spent all night working for a lighting design teacher who became my mentor, Susan Jane Arnold. I was working on an abstract representation of light for each scene in West Side Story. I had never done anything like that, working from instinct, from my own stories, my own life experience representing a story of New York City that I really knew little about. I was covered in chalk dust, a pile of drafts were on my floor but in the middle of the night I had this epiphany I was making art. My mentor helped me to see the line from my life into the story of a play and how in combination with imagination I could manifest this experience. I walked into class to explain my presentation intoxicated with exhaustion and amazement. 3. What comment, quotation, statement, or action that a professor—or classmate—offered had the greatest impact on you? The above was memorable and meaningful. Another was Mavor Moore (my directing advsior) sat and observed when an actor in my rehearsal accidentally injured herself. An awkward and painful injury but not life threatening. I handled it and it was really the first time I had ever had to do so, as the director. Afterwards Mavor said to me that as Professor he could have taken over and maybe felt he should have but he wanted to see how I would address this as director in the room. I understood trust then. Subsequently I understood empowerment. Ron Singer also taught me directing in my very first course, an introduction and in one simple exercise where actors as a group had to sweep across the stage, demonstrated objective, energy and the vector of desire in an image/story—clear, specific and accurate image of action. 4. Is there a way you incorporate a particular aspect of your theatre training in your current work? Doug Buck taught me the Business of Theatre which I use everyday to get an audience for my work – theatre is nothing without an audience and artists are never happier than when they are getting paid. Artistic income is one of those necessary dignities in a business that seems to have a lot of humiliation. Paying an artist is critical and that comes from a theatre filled with an audience. This economic relationship is a mirror to the creative relationship.